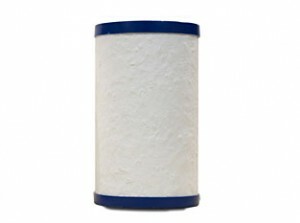 There is no better drinking water filter, at any price, than this outstanding water treatment system by CB Tech, the world’s leading manufacturer of carbon block drinking water filters. This high performance water treatment system is NSF-certified, tested and proven to effectively reduce over 60 contaminants. These include THMs, Lead, Cysts and Chlorine that may occur in drinking water in Metro Vancouver. This system is also one of the few drinking water filters that have passed NSF certification for Chloramine reduction, making it an excellent choice for residents of Victoria, Abbotsford, Mission BC and other communities where drinking water is disinfected with Chloramine. We supply this inline model with tubing and an angle stop value. It does not come with a faucet. The filter housing is made of sixteen (16) gauge stainless steel and comes with a twenty-five (25) year warranty! This unit does not come with a faucet. On your checkout page your will have the option to add any of the faucets below to your order. Standard faucet (far left), Amero chrome faucet (second left), Amero brushed nickel (third left), Anglo chrome faucet (middle), Anglo brushed nickel faucet (third right), Euro chrome faucet (second right), Euro brushed nickel faucet (far right). 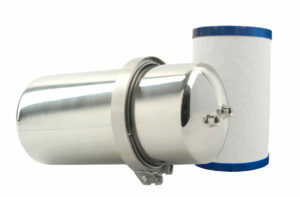 The replacement cartridge for CB-VOC-S stainless steel under sink water filter is called the CBTVOC by CB Tech. It is certified by NSF to provide effective reduction of a wide range of contaminants. These include THMs, Lead, Cysts and Chlorine that occur in drinking water in Metro Vancouver. Replace every 9 months or when water flow slows significantly, whichever comes first. Worldwide, infectious diseases, many of them waterborne, are the number one killer of children under 5 years old.